In this screen you start building your App-Backend. 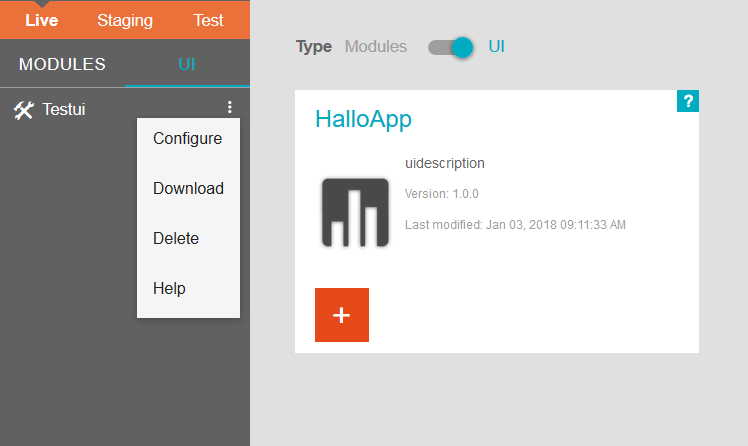 The overview panel on the left hand side shows the state of your App-Backend, the selected modules/UIs and additional information of the App-Backends API. Modules contain ready to use functionality like facebook auth, wordpress sync or sending push messages. You can add a module to your App-Backend by clicking on the plus button. 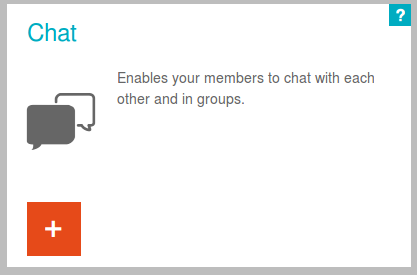 After a module was added, it is listed in the overview panel. You can reconfigure it by clicking on the three dots which opens a context menu. There you can also remove this module again. 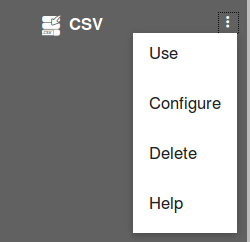 Using the ribbons from main menu on the top, you can filter all modules by popularity, categories or keywords. Copy models from an other system is possible if you are working in a higher plan than basic. If it's an enterprise installation, you have the options to create or upload a native module. Copy Models from ... – copies all modules, data models from the selected system to the current one. Data is not copied. Adding and configuring UIs is similar to adding/configuring modules. You can also download an added UI via the download button in the context menu. Refresh - see at Main Menu 4.